A lot of people get very ambitious while picking out a house but do not realize that the loans may end up becoming a burden in the long run. If you do end up buying a house that is way above your budget, you are going to end up spending almost all of your salary on the EMI. The result is that you will end up being in an extremely tight spot. Thus, plan out your budget and decide how much money you can set aside every month for the EMI conveniently. While applying for a loan, banks suggest that the EMI every month must not exceed 50% of your income which is said to be the ideal scenario. 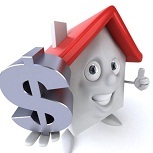 While considering a home loan, it is important to know how much the bank will provide you with. 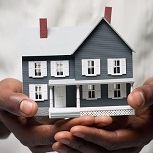 Most standard banks will give you about 85% of the property value. The remaining 15%, however, is a down payment which will have to be paid by you while registering for the house. This is simply your personal savings and you will have to pay it up in one installment only. Thus, it is important to make sure that you have enough funds to be able to pay it up in time. If not, arrangements must be made well in advance. While opting for a loan, the basic step would be to find out if you are eligible for a loan or not. You can do this by checking for your eligibility online or approach the bank personally and they will help you out with the same. This is done to simply avoid any surprises that you will have to deal with when you find out later that your loan has not been processed because you were not eligible for that amount. 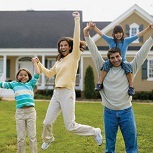 Your eligibility is also enhanced if you maintain a typically good credit score which is anywhere between 700 and 750. Those will credit scores lesser than 550 have low chances of being granted a loan. Before seeking out for a loan, it is important to not only research thoroughly about the bank that you will be approaching but also on how the entire loan process works. Make sure that you are familiar with the documents needed, time frames, legal scrutiny as well as the inspection of the property by the bank procedures. Choose a bank that offers you the best rate of interest. Compare all the leading standard banks, go through their home loan offers and pick one that will work best for you. Another tip is to approach the bank where you have your salary account for the loan. As you are familiar with the bank, the chances of your loan getting approved faster are high. You can also easily manage your EMI and fund transfers as well. While looking for property to invest in, choose a property that is approved by the government, has no hassles attached to it and the paperwork is on point. 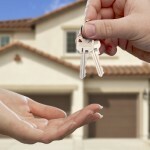 This not only makes your property a safe buy but you will also get your bank loan a lot easier. The bank will approve only properties that have all the authority approvals and are free from all scams. Thus, make sure that your property is authentic and all the property related documents are in the correct format, attested by the Government and can be produced in any court if need be. 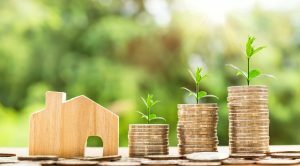 If you keep in mind the above pointers, buying a property will be a hassle-free transaction and the bank will fully support you with the finances you need for the same as well. This entry was posted in First Time Home Buyer Info and tagged Home loan guide, Tips for first time home buyer in india. Bookmark the permalink.